Nothing finishes off a set of wheels like a fresh set of lug nuts. Our quality kits are value priced and hard to resist under any budget. 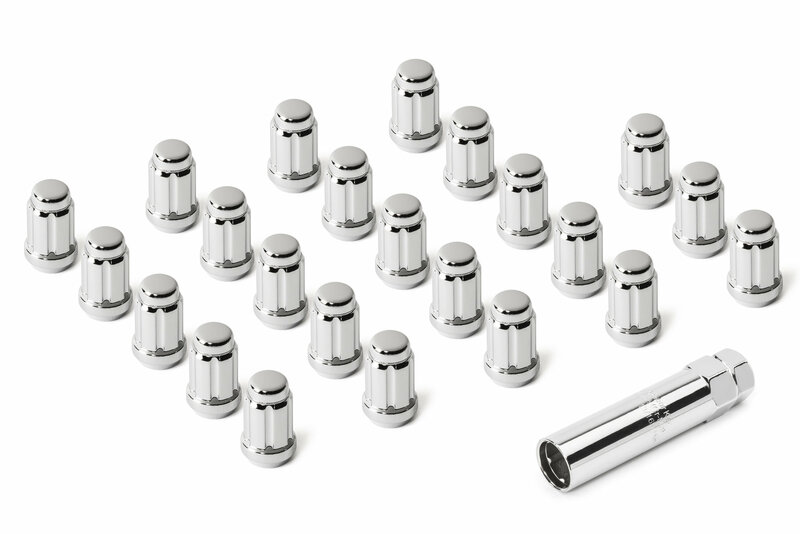 Spline Drive style kits include 23 theft deterrent Spine Drive Lug Nuts, with Spine Drive socket to finish all four road wheels and the spare. Available in durable chrome and black finishes. 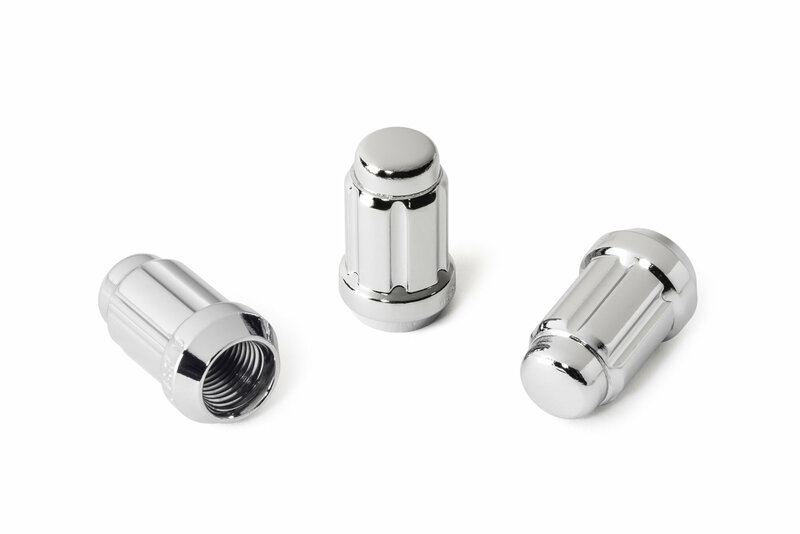 Our lug nuts have the correct 60° tapered seat to work with all factory and aftermarket steel and aluminum wheels for Jeep. Threads are ½ x 20 (threads per inch) per original equipment. I realized last minute that I needed a spline drive lug nut to go with my method mesh wheels as the normal acorn hex lugs would fit, but I wouldn't be able to fit a socket onto it due to the hole for the lug nuts on the wheels. Also like the little added security with the spline. The chrome on it is amazing and packaged well to prevent any sort of shipping damage. I was even able to use an impact using the provided key to test fit a wheel on my jeep and there is not a single scratch or mark on the nuts. I do wish it came with two keys (I always seem to never be able to find it when I need it)... Some people are concerned about the smaller size holding the tires on, but my old TJ I had similar much cheaper lugs on them that never had an issue. I just hope now that PA winters don't destroy them! these locking lug nuts are of great quality and look awesome on my new AEV Pintlers. 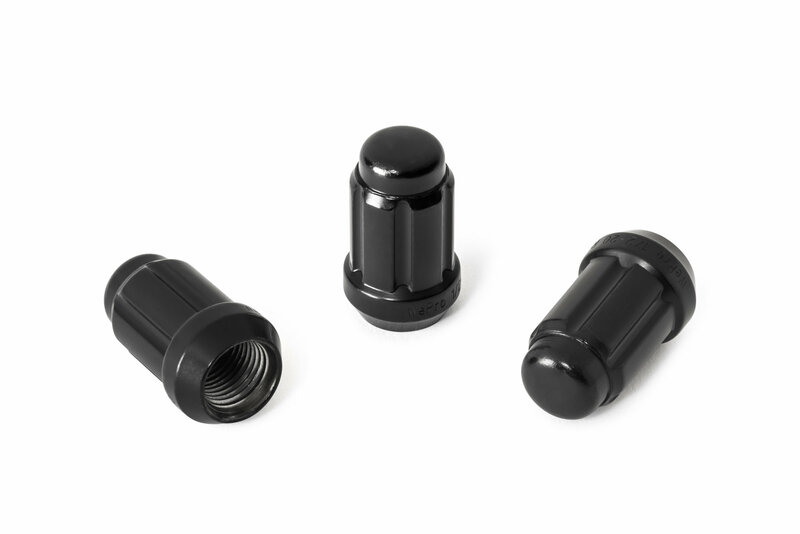 The added security a plus, however I do not feel comfortable with the small diameter of lug nut contacting the wheels much larger tapered lug nut mounting well. I will be replacing them. 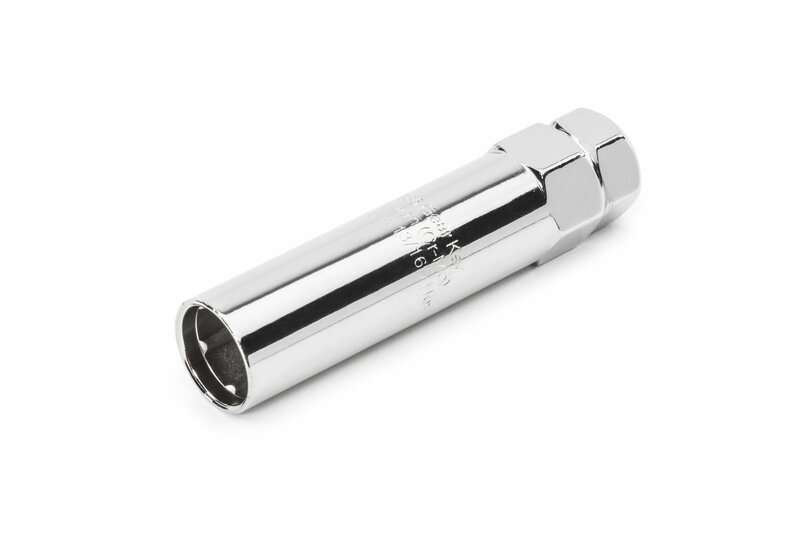 These are solid one piece lug nuts.